Is it possible to break those numbers down a little more? Specifically for 95. Like how many were black, red, white, etc. 26424 total 90-95 verts built according to Hemmings Motor News article? I cant find anywhere that there were 1990 convertibles made. How did you find that out? The dealer people got back with me and confirmed the 1515 91's and there were over 100k Cutlass' made that year. I do! Thanks for taking the time to do that. It will be very helpful when I'm shopping for my next one. When I was looking for the one I have now I had it in my head that a Aqua/Black top/White interior would be really cool. I guess I would have been looking for a long time. 25509 without the 88 MY. 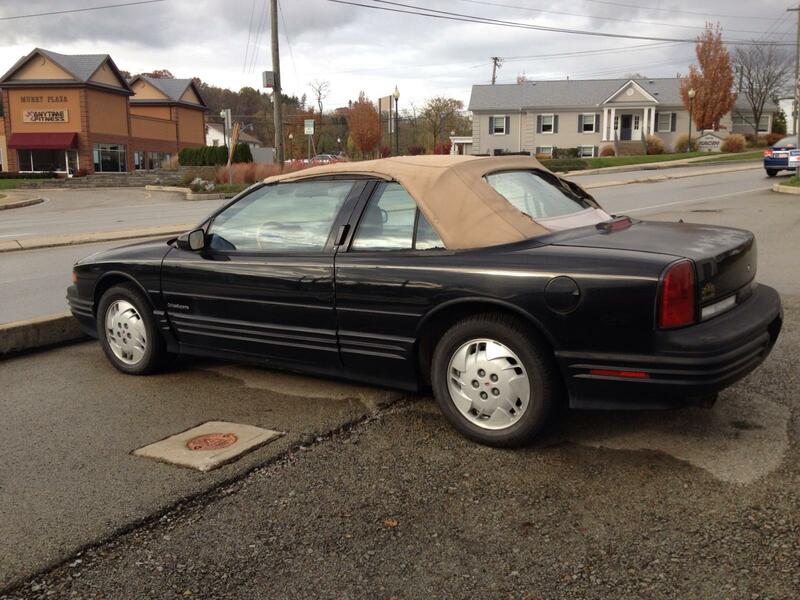 johnnyride- have a black exterior dark grey interior black top 1995. Mint- Have you had any trouble getting theback boot cover to fit properly? The back tabs do not hold down/boot cover does not ride tight. Any suggestions? what happened to the breakdown? WTF? It won't let me fix it...Did someone add a character restriction? Beige top wasn't available until 1995. Probably had a black top. black or white....anyone subscribe to the VIN decoder? And much less out there anymore. I had one too but it's been junked. Top could be a replacement. Or the seats were redone /swapped out. Someone swapped the white interior. White was not available until January of 1994 for the 1994 model year.